So, first and foremost, we’re planning a new campaign just for the Gearchips that we offered in the Tinker Deck campaign. We do have a few leftovers, but there is some interest in more. These Gearchips are poker chip sized, ready for play with the decks… or whatever else. My kids just love playing with little metal gears, and they can serve well as tokens in a variety of games. They are 39mm, so they can even stand in as wreck markers in WarMachine for 40mm base units or the like. We’ll fire that up in the next month or so, since a lot of the groundwork is ready to go. We need to run a campaign because we still have to make sure we have enough interest to get a “print run” of the coins. We’re not yet far enough ahead of the curve to just go get more coins and hope the demand happens later. Secondly, we’re planning a set of Gearchip-like game coins. Specifically, they will be gear-edged coins, all built to mesh with each other, no matter which denomination. They will have square holes in the center for use either as driver gears with a square axle, or to be able to turn freely on a round axle. They can function in any game or situation that calls for coins or chips of different denominations (say, 7 Wonders, Race for the Galaxy or Magic the Gathering), or as parts to a machine, albeit a simple, low powered one. These won’t be highly hardened, tempered, true machine-ready gears, just toys. Still, that’s enough to have fun with. Third, we’re looking at producing another deck. We had a lot of fun with the Tinker Deck, and have other ideas we’d like to experiment with, if it’s worth it. We’re not at all sure that we’ll go with Bicycle as the printer again, though. They do good work, no doubt, and they are really good people to work with, but the print run of 2500 or so decks is a significant monetary hurdle. It’s not impossible, to be sure, but there are other options that we’re considering. These, of course, don’t carry the brand name or the instant quality assurance and recognition, which can be a different sort of barrier. If you’ve an opinion (or recommendation) on printers, please let us know. Also, while we’re brainstorming, how about these options? We’ve also considered making the Tinker pair of decks available in plastic, though that will definitely mean going with a different printer. We’re not seriously looking at Kem custom cards, as their prices are prohibitive. We’re looking at non-US printers for this (unless someone in the ‘States can compete). Speaking of reprints, we did order some extras of the Tinker Dice, but if there’s enough demand, we may well do another campaign for those to get another batch going… though we’d spice it up a bit by offering new finishes. We’d simplify the ordering scheme, though, since it was overly complex this last time. We’re also seriously considering rebooting the initial, failed, plastic Tinker Dice campaign, though we acknowledge that metal dice just seem to fit the theme better… and are in some ways, just plain cooler. Still, plastic dice have their charms, and are less likely to destroy your gaming table. They would be less costly, too. There’s also a temptation to do some sort of token set for wargaming… but we need to figure out the best approach for that. Some of those templates are big, and might get prohibitively expensive to do in metal. So thanks for chiming in, and for your support thus far! It is a part of mankind to play games. We played in the Stone Age. We played in Roman times. It’s an escape from the everyday grind. Every day we work hard and we make mistakes and we are punished for those mistakes. Games take us to another role where you can make mistakes and you don’t get punished for them. You can always start another game. Games are experiments, ways to tinker and noodle around with thoughts and actions, all in a place where risk is minimized. That’s part of why I keep working on game designs; I think they serve a purpose that other entertainment and education forms don’t. Play, after all, is healthy. And you can always start another game. It really is OK to put down that MMO treadmill and try something new (though Altitis can be a good middle ground, leading to new experiences as BBB notes). Sometimes, I really do think we lose some of the joy and promise of games by insisting on perpetual progress and persistence, constantly comparing ourselves to others and their achievements in an effort to validate our time spent, rather than just… playing. Above 49’s Of Mice and Dice, more on “German-style” board games. 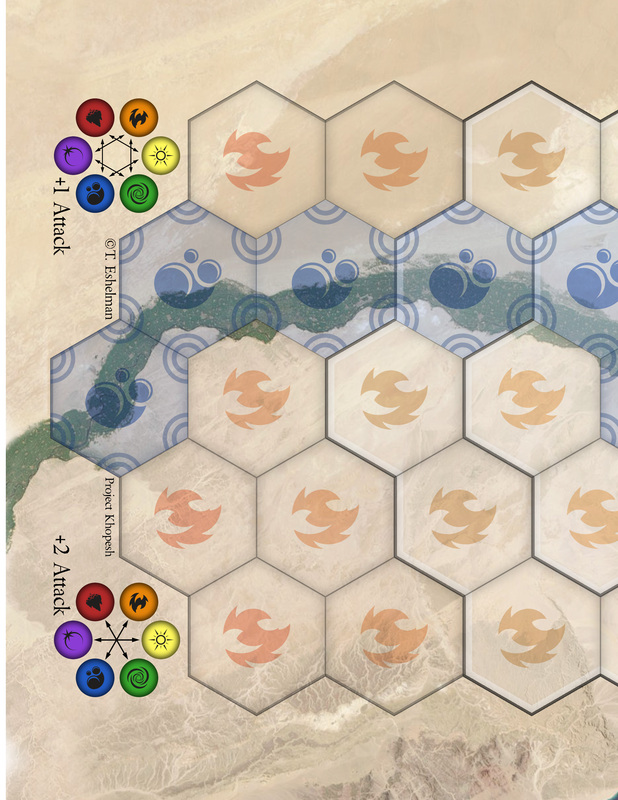 In my games, I’m always looking for a very simple set of mechanics or rules that lead to these complex situations,” says Creative Director Jay Kyburz. “I enjoy games where everybody understands how the game works, and has a simple set of decisions to make, but find themselves with lots of interesting problems to solve because of how the players are interacting within that simple rule system. What is a game, exactly? There are a lot of different types of games, to be sure, but to my eye, the heart of what makes a game is the possibility of making choices. Games are differentiated from passive entertainment like TV or film by allowing the end user to have some input that changes the experience. Exactly how much control devs give to the player can vary wildly, but giving the user choices is important. Of course, when you give the end user the ability to make choices, they may make mistakes. I’ve come to believe that mistakes are what make a lot of games tick. Part of this is the notion that experimentation and punishment-light mistakes are a significant part of how I define “play”. Mistakes are part of learning, and if learning itself is fun, it’s usually because those mistakes aren’t backbreaking. Take chances, get dirty, make mistakes! I’ve been experimenting with board and card game design for a while now. 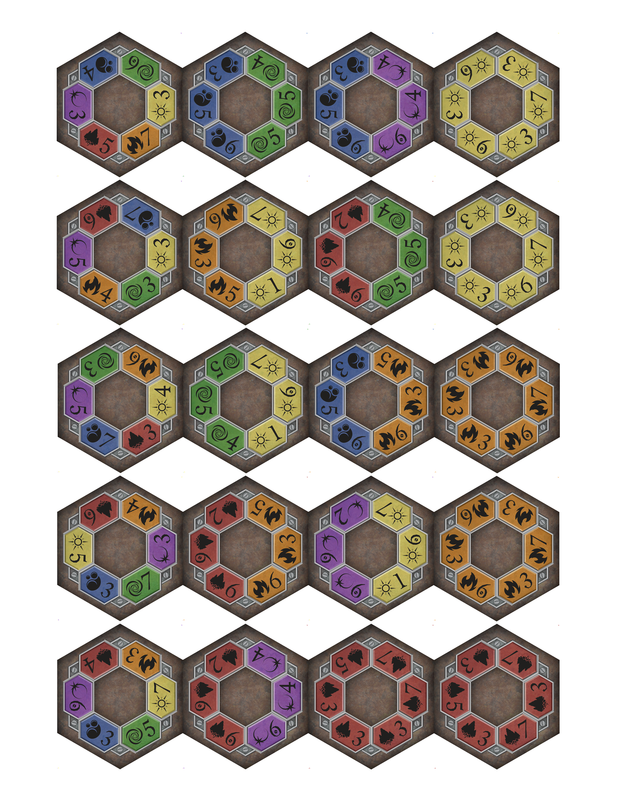 I’m close to having two more PDF games for download, like I presented Alpha Hex. 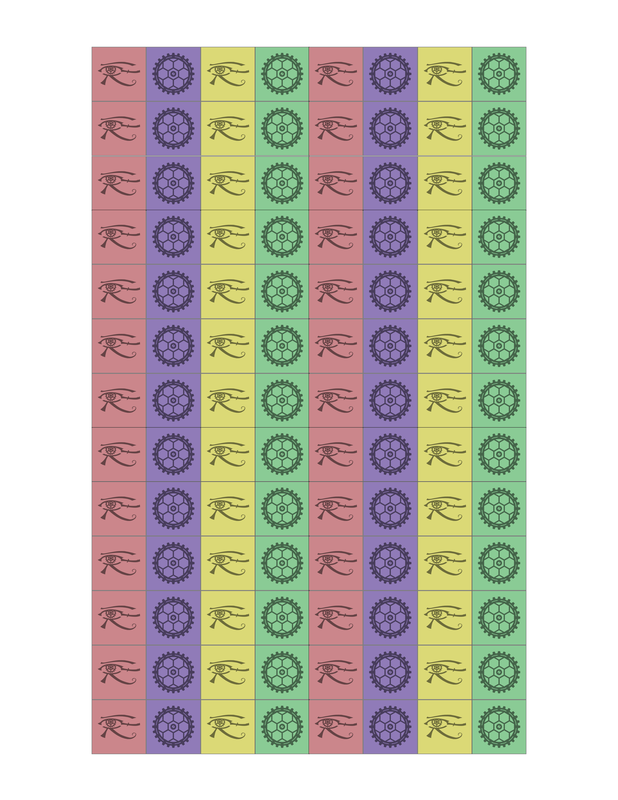 (I’d love it if I could make a bit of money on the side with these, but since I’m a rookie designer, I’d be pleased with feedback.) Card and board games tend to be Player vs. Player, while video games tend to be Player vs. Environment. Sure, there are the occasional cooperative PvE-like board games like Pandemic or Lord of the Rings, and there are many PvP video games like Street Fighter or Counter Strike, but I’m just talking in generalities. The PvP in Tic-Tac-Toe is trivial. The game can always be played to a draw with two sufficiently competent players. (The level of competency is low, as well.) PvP in Rock-Paper-Scissors is mechanically trivial, though there is a layer of “yomi” when it comes to the psychological games played between players. 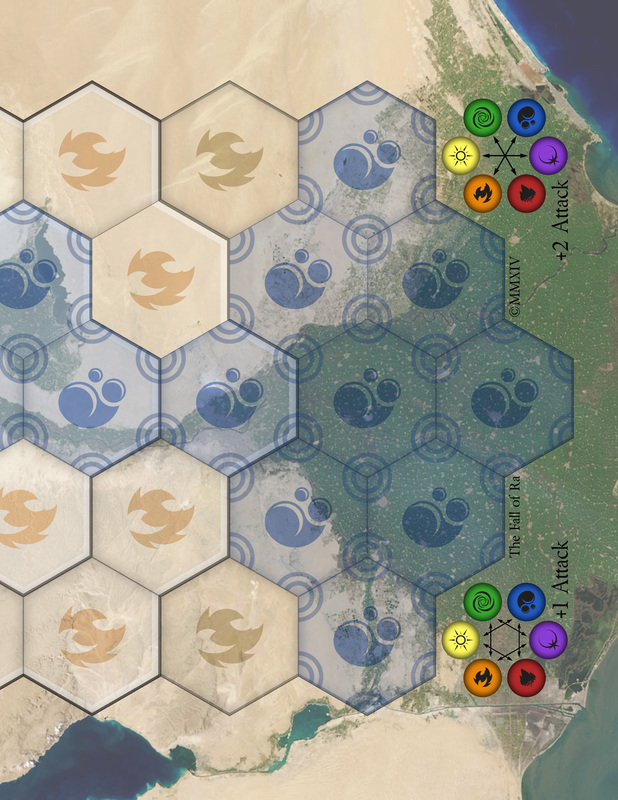 PvP in Othello is a bit more mechanically involved, as well as strategically and tactically varied. Go and Chess are a step further than that. In most PvP scenarios, games between equally competent players tend to come down to mistakes. Perfect execution in Tic-Tac-Toe means you always get a draw. A player with better mastery of mind games will do better in Rock-Paper-Scissors. Perfect execution of a strategy in Go or Chess is a different thing, though, since the opponent has more opportunity to throw a wrench in the works. More choices for each player tends to provide greater strategic and tactical depth, largely by giving players more opportunities to make mistakes. Savvy players will capitalize on opponent mistakes while avoiding making any of their own. In these more complex games, player choices tend to have multiple effects. A knight in Chess, for example, can be used to “fork” an opponent, forcing them into choosing between two (or more!) pieces threatened by the knight. If one of those pieces happens to be the king, the other piece must be sacrificed (or the knight captured). 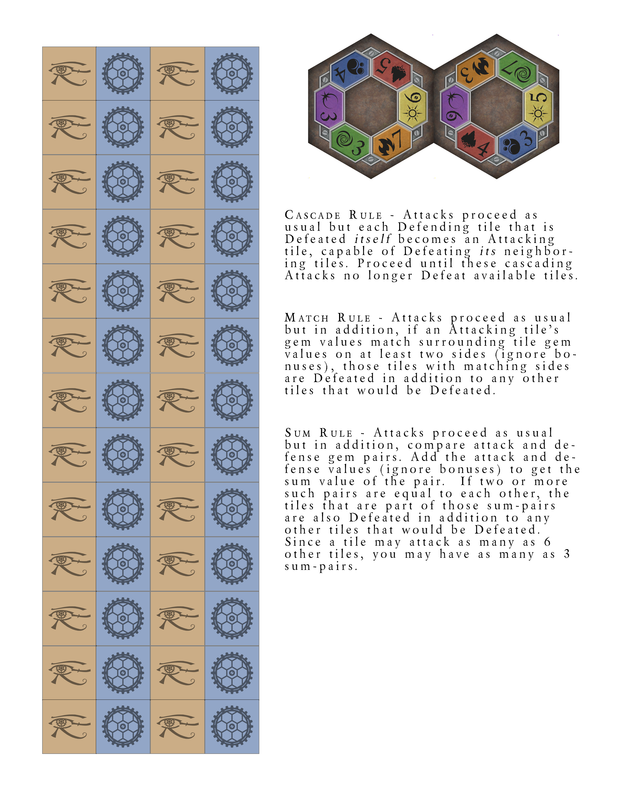 In other words, players can use pieces that have multipronged influence to force decisions on opponents. Force enough of those decisions without making too many yourself, and you can break an opponent. To a lesser degree, that’s exactly how you can win Tic-Tac-Toe, by creating a choice for an opponent; block here or there… but if both are winning positions, the opponent cannot win since they don’t get two turns in a row. Connect Four is a step beyond, extending the grid and allowing for more opportunity to force bad decisions. Chess and Go do a similar thing, just with much more effective pieces and a tendency to need to think more than one or two moves ahead. Greater piece and rule complexity allow for increased depth. OK, so none of this is exactly rocket science. It’s Game Design 101 kind of stuff. This is just the sort of thing I find myself thinking about when I try to distill my own game designs. 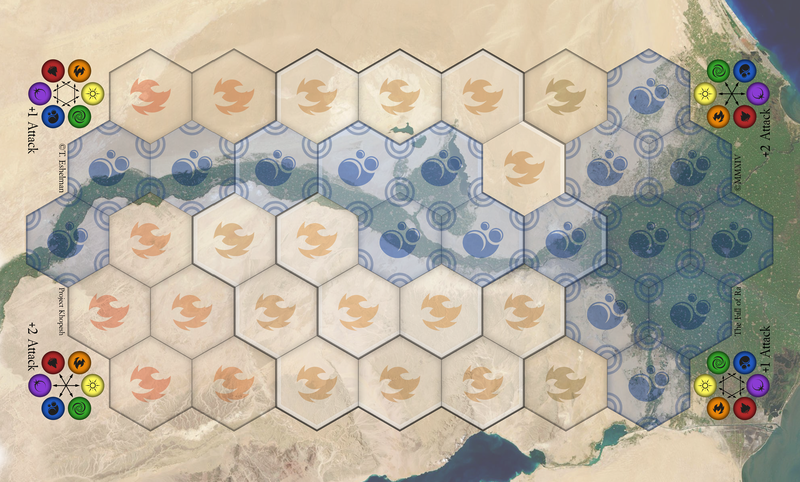 I want to make games that are relatively simple to play, but with tactical or strategic depth, not unlike Go or Othello. The game mechanics are simple enough, but thanks to large decision trees and yomi layers of move-countermove, tactics and strategy have plenty of room to breathe and develop. On another hand, we have “games” like Roulette, where the player makes two initial choices (what number to bet on and how much to bet), and random chance does the rest. Slot machines are even worse. These really aren’t games in my mind, but I’m not sure what to call them. Still, people “play” them, and somehow derive fun. Perhaps, like Avatar‘s popularity despite a weak “story”, the fun is derived from the window dressing and the experience. Would a 3D holographic Candyland sell? Perhaps it’s all about the payoff or the achievement, where the ends somehow determine that the means were fun. Or maybe it’s all about the payoff, and the “game” is just something to suffer through. On another hand, games like Rock-Paper-Scissors are all about the mind games. David Sirlin’s Yomi card game digs even deeper into the yomi layers. The actual conflict resolution is less about the very deterministic mechanics (Paper can never beat Scissors), and more about the player choices, especially since every player can choose rock, paper or scissors at any time. These games can be very satisfying if you find fun in outguessing another player. Tangentially, PvP in class-based MMOs tend in this direction, albeit more simplistically. Rogues beat Mages who beat Warriors who beat Rogues. There are some ways to alleviate this rigid dynamic (panic buttons like Ice Block for a Mage, Spell Reflection for a Warrior and so on), but for the most part, we’re back in RPS territory. Pokemon is similar, just with an extended dependency/elemental heirarchy. I tend to find this sort of rigid design less than satisfactory. Sure, it might feel great to always beat on the class that you are inherently superior to, but it stinks to lose continually to a class inherently superior to yours. This is one reason why I keep asking for more flexibility in MMO combat (BBB has a great article up on this philosophy), even allowing every player to shift to their own Rock, Paper or Scissors at any given moment. To me, that’s more interesting game design, and far more satisfying to pull a victory out of, since it hinges on my choices in the moment, not an irrevocable class choice I made a long time ago. I don’t like approaching a RPS game if I’m stuck being Scissors. On yet another hand, there are the relatively simple two player games that tend to give one or the other player an advantage simply by the way they are designed. Chess gives a slight edge to White, but a game like Y or Hex might have an even stronger advantage for the first player. (Alpha Hex, strangely, gives a fairly strong advantage to the second player. That’s the natural result of the capture-countercapture nature of the game.) There are even games that, given perfect execution of a “determined” winning strategy, do not allow one of the players to win. Ever. Sometimes a draw isn’t even possible. These games are where mistakes are especially important. Perfect execution of an invincible strategy makes for a tedious “game” for the player who isn’t going to win. The strategy-stealing argument suggests that the losing player cannot “steal” the winning strategy as long as the winner maintains the strategy. The best they can hope for is a draw, if the game even allows that. The game could effectively be declared finished when the initial turn order is decided; it’s all just going through the motions at that point. Unless the winner-to-be makes a mistake. This sort of strong bias for one player or the other can be a handicap mechanic for players of widely diverse skill levels, but it’s not much fun for players who both know the strategies and who can execute them perfectly. That’s where a number of fudge factors come into play. Increasing the opportunities to make mistakes by increasing the number of decisions to make is one way to fudge this bias. That’s effectively how Chess evens the playing field. Some games hide information, like Stratego, forcing players to make decisions with imperfect knowledge, effectively playing the odds and trying to outguess the opponent. Many games use a random element, whether it’s shuffled cards, dice rolls, variable goals or even just each player holding cards only they can see (until played, anyway). Whatever the case, these fudge factors allow mistakes (or force them! ), thereby disrupting the formation of a perfect strategy. The lack of perfect information is a benefit to these efforts to make the game more interesting by inviting mistakes. Alpha Hex does give the second player an advantage (which messes with the psychology of gamers, since it’s usually the first player with an advantage), but the fudge factors of an unknown opponent hand (which cards they are holding, which may be magnified when you’re playing with random cards rather than sticking to a purely monoelemental deck) and the ability to play any given card in six different orientations (more choices) help alleviate the bias. The optional elemental rule (especially if randomized) throws another variable into the mix. The also-optional chain rule makes the game very swingy, but gives the opportunity to make up for past mistakes (or even lets players use fake “mistakes” to manipulate the opponent into making their own mistakes… more yomi gaming, there). Also, the first player can control the pace of the game. A timid player going first might start in the corner, but that gives the second player an advantage. An aggressive player starting on an edge or in the middle will start in a cell that has an even number of cells around it, setting up a sort of “game within a game”. 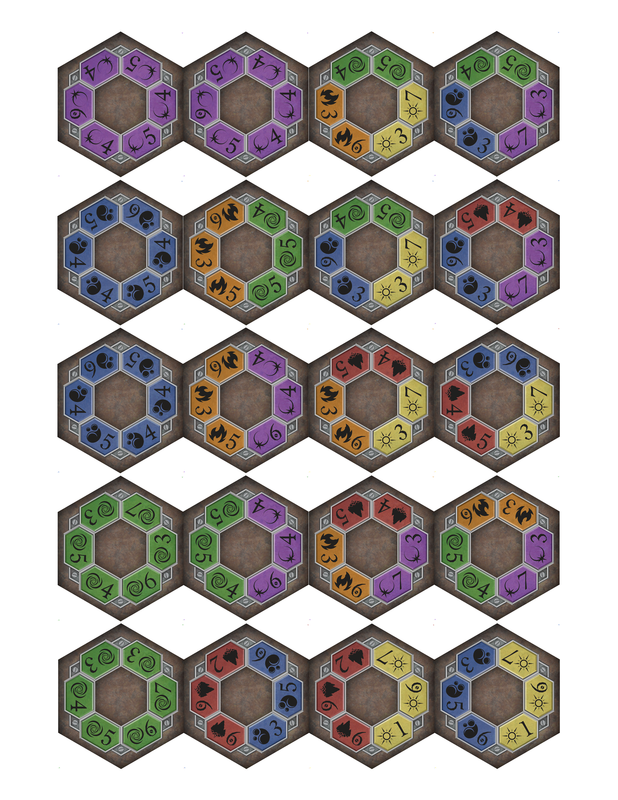 (If the board were only ever 7 cells in a circular pattern, the first player playing in the middle would have a very strong advantage. 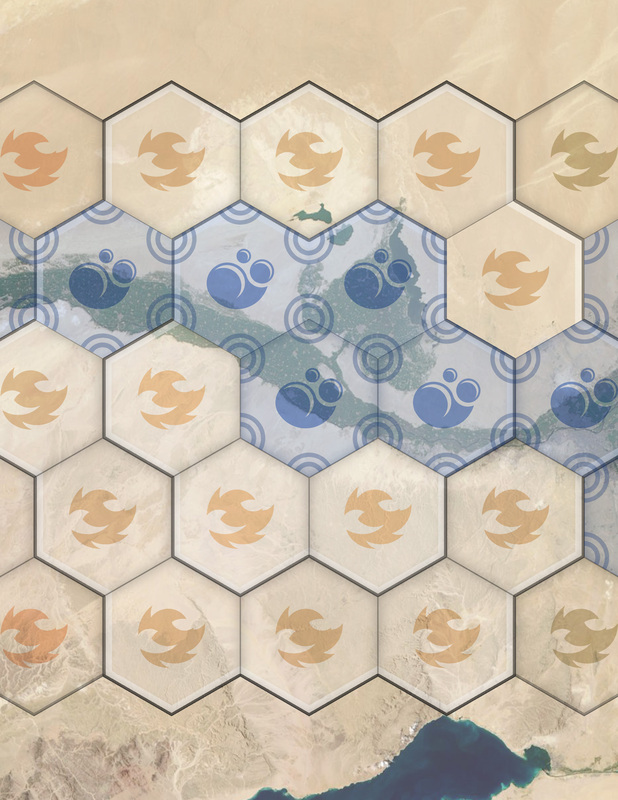 If the first player can manage to win this minigame before filling out the board’s other 5 cells, they can come closer to parity.) Even so, the game tends to be decided in a few key points, rather than at any point in the match. The first play is crucial, the 7-cell minigame is important (even if it means you build differently from the seven cell circle), and the transition from the 7-cell to the “endgame” can be a backbreaker. That said, I’ll admit that if I do manage to devise a perfect strategy for a game, I almost immediately lose interest in it. A solved puzzle just isn’t as much fun. Likewise, “solved” PvP, if dominant or perfect strategies exist, just isn’t all that fun to play, at least not for me. It’s just going through the motions, convincing myself that I’m having fun doing the same thing over and over. The interesting part is that I get tired of it whether I’m winning or losing. Perhaps variety really is the spice of life, and making mistakes is a part of that. It’s certainly key to making a game interesting in my book. It should be noted that I’m talking about mistakes that can be learned from, not a Random Number Generator forcing mechanical “mistakes”, thereby destroying any sense of control and progress. It’s a crucial difference; I don’t mind mistakes that I make and learn from, but I can’t stand mistakes that the game makes then forces me to live with the consequences. I love game design that makes all mistakes hinge on the player choices… because those are the ones I learn the most from and have the most fun playing.